Product prices and availability are accurate as of 2019-04-20 14:09:32 UTC and are subject to change. Any price and availability information displayed on http://www.amazon.com/ at the time of purchase will apply to the purchase of this product. Use as gift wrapping, add a bow & you are done. Great for the guy in your life. Black color is great for Halloween, Over the Hill Parties, etc. 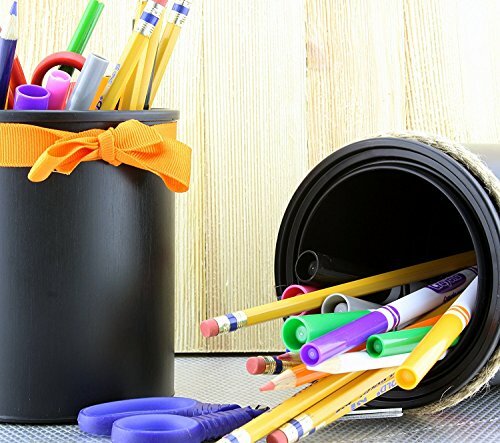 Use to store paintbrushes or other art & stationery tools. Opaque black can works well for a mystery drawing or prize drawing. Eco-friendly food safe plastic. Plastic is polypropylene PP #5 plastic which is the same plastic used in yogurt containers and butter spread containers. 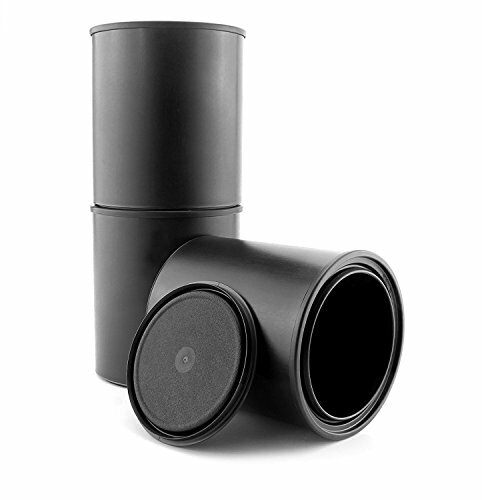 Each can is 5" tall and 4.5" diameter. 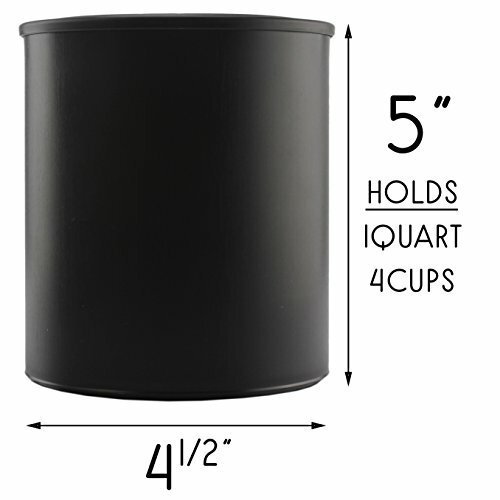 Capacity: 1 quart = 4 cups. Weight 2.7 oz. Each. Lid mouth 3.33" diameter opening. To Open: Pop open like a traditional paint can. To Close: Press down hard with fist or palm of hand on middle of lid until you "hear the snap." 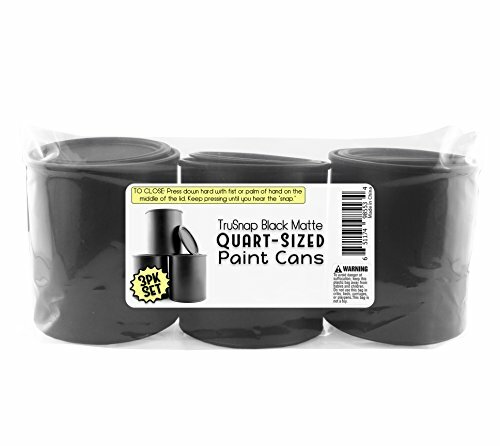 Disclaimer: Quart size paint cans are not made with a handle or bale. Please don't complain that these don't have a handle. Only larger cans are made with a handle. Tip: Non-standard lid size. Customers report that for pouring, these work well with "Stretcher Spout." Product manufactured with patented seal by KW Container in the USA.
? 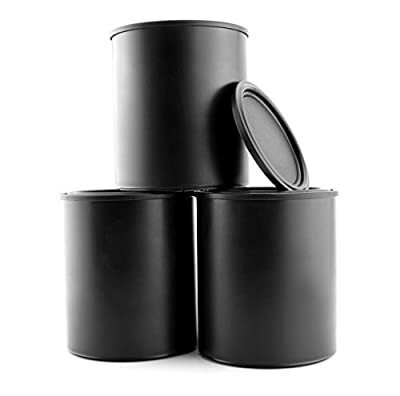 BLACK ALL-PLASTIC CANS: No more rust with these all-plastic cans; store water & latex paints and coatings, adhesives, & mastics; airtight seal too ? ARTS, CRAFTS & DECORATING: Beautiful with seashells or potpourri; PARTY DECOR: For baby shower & wedding shower decorating; GIFT PACKAGING: Great for presents & mystery drawings. ? AIRTIGHT SEAL: Special patented TruSnap lid with airtight seal. Push down on lid with fist or palm of hand until you hear the "snap!" ? 3-PACK / QUART SIZE: You get 3 cans that each hold one quart (4 cups capacity) ? FOOD SAFE: #5 Polypro plastic (the same plastic yogurt & butter spreads are packed in) ?